Around 4000 people affected with recent cyclone ,calamity provided with delicious lunch organized by Nu Tech Constructions Pvt Ltd, T.Nagar, Chennai in association with Ungalukagha Charitable Trust, T.Nagar, Chennai. Around 4000 people affected with recent rain calamity provided with delicious lunch organized by Sri. B. Nagireddy, Senate Member of Dr. M G R Medical University Guindy and Chairman of Nu Tech Constructions Pvt Ltd, T.Nagar, Chennai in association with Dr.Suneel, Founder and Managing Trustee of Ungalukagha Charitable Trust, T.Nagar, Chennai. 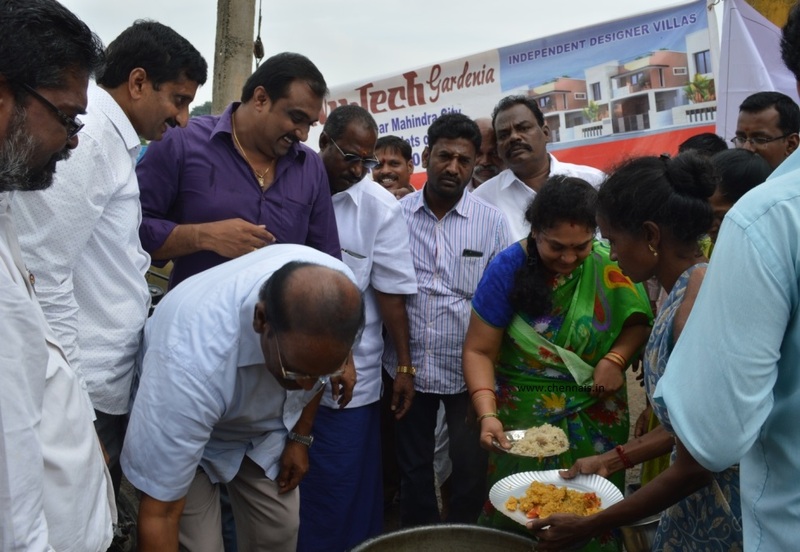 Mrs. Nagarathnaamba Nagireddy, Director of Nu Tech Constructions Pvt Ltd, Mr.R.Srinivasan, Retd. Superintendent of Police, Mr.Pugazhendhi Krishnan , Advocate also presented among others in this delicious lunch distribution drive held today at Sathya Murthy Block, Damodara Vinayagar Kovil Street, Sulai Pallam Nagar, Krishnan Nagar, MGR Nagar, KK Nagar. 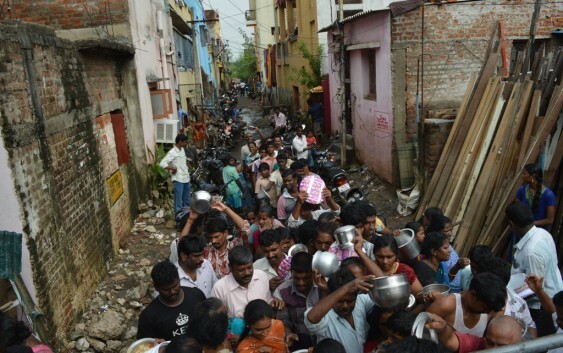 Around 4000 people staying in and around these areas benefitted with delicious unlimited Vegetable Biriyani, Sambar Rice and Water bottle. The lunch distribution drive was leaded by Sri. B. Nagireddy, Senate Member of Dr. M G R Medical University Guindy and Chairman of Nu Tech Constructions Pvt Ltd, T.Nagar, Chennai and Mrs. Nagarathnaamba Nagireddy, Director of Nu Tech Constructions Pvt Ltd, and active self devoted volunteers of Ungalukagha Chartable Trust carefully distributed delicious lunch to the people heavily affected by recent cyclone as these people are residing very near to the river. According to Sri. B. Nagireddy, Senate Member of Dr. M G R Medical University Guindy and Chairman of Nu Tech Constructions Pvt Ltd, T.Nagar, he has extended this drive as part of his corporate social responsibilities and also promised to contribute towards our society to support the needy for the noble initiative in future too as part of his responsibilities. Save a life by sparing a minute to pledge your support. Make your minute count!